Union leaders at the General Motors Oshawa assembly plant east of Toronto are optimistic that GM’s commitment to finishing full-size pickups there will lead to eventual full production of the Chevrolet Silverado and GMC Sierra in Canada. It could lead to bigger and greater things, said Local 222 President Colin James in an interview. James said the pickup “shuttle” program will see shells of the two truck models shipped from Fort Wayne, Ind., to Oshawa for final assembly. GM has yet to publicly reveal its plans and would not comment as to whether the Silverado and Sierra would be finished at Oshawa Assembly. James told Automotive News Canada that no other plant in North America builds cars and trucks together on the same line. 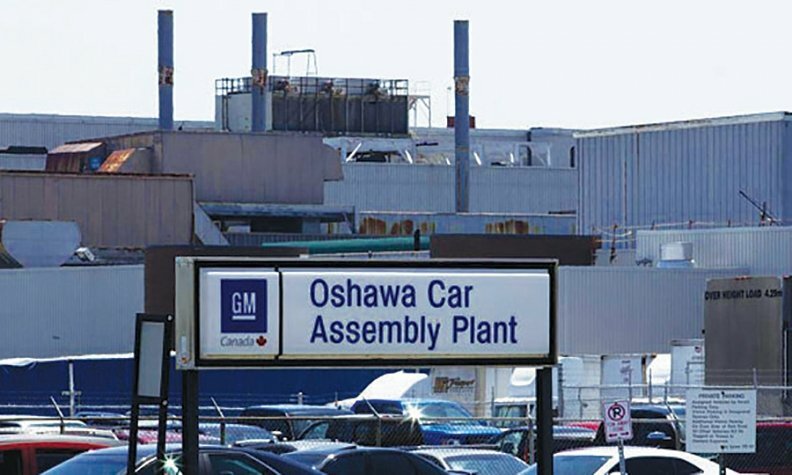 Since GM and Unifor agreed to a four-year, $554-million contract deal last year, there have been various reports that the Oshawa plant would finish the Silverado. Now there is word the Sierra will also be finished there. A GM official would not discuss specific details. James said last July that some workers would be laid off because of the closing of the consolidated (single-vehicle) assembly line, but will be recalled around November of this year. The consolidated line builds the overflow of the Equinox utility vehicle for CAMI Automotive in Ingersoll, Ont. The previous-generation Impala was also built there, for fleet sales in the United States. The line closed permanently July 8. GM is spending $400 million to upgrade the flex line. Flex refers to the line’s ability to produce multiple different vehicles at a time. The plant currently produces the Cadillac XTS, Chevrolet Impala, Buick Regal and Chevrolet Equinox. James said that starting in January, work will begin on double-door half-ton trucks at 30 jobs per hour on the flex line, but he said a second shift to be added at the end of the second quarter next year might involve hiring as many as 500 new employees. He said Unifor just completed a three-year deal with Lear’s branch plant in Oshawa to supply seats for the trucks. Lear currently provides seats for vehicles scheduled to be built at the plant through 2019. James said because of the new agreement, some laid-off members will now be called back to work and some new employees might be hired. He said the hope is that GM Oshawa will be rejuvenated, creating more work for the plant. With the cost of the Canadian dollar today, it makes sense to invest in Canada, he said, prior to the loonie rallying to 79 cents U.S shortly after the Bank of Canada’s interest rate increase. “We will never be able to compete with Mexico and China on a cost-to-cost basis, however if you’re looking at quality and productivity we’re way ahead,” James said. He said his membership is willing to build whatever vehicles are brought to the facility. “It’s about General Motors Canada getting more and more of the market share they once had,” James said. “If we start producing top-notch trucks, we’ll go back to the old days where we had a successful truck plant and we’ll start getting more and more business.